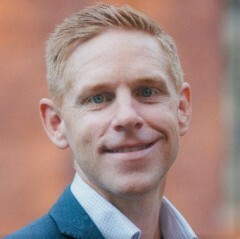 Stuart Appley is a Managing Director in CBRE�s Global Workplace Solutions Group, where he is responsible for providing executive technology oversight and consulting to clients. Stuart also has a technology innovation & thought leadership role, helping to develop, drive, and lead pilots on innovative digital projects across CBRE. 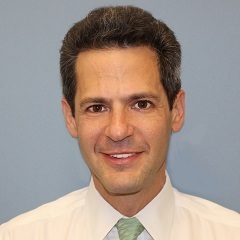 He was previously the CIO at Shorenstein Realty Services, where he led the transformation of the company�s technology environment into an innovative and best in class organization. 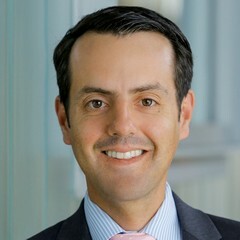 Steve Barrios is Senior Vice President, Director of Global Financial Planning & Analysis, for Prologis. He oversees the company's global financial planning and analysis team, which focuses on planning, valuation, strategic initiatives and other corporate-related activities. 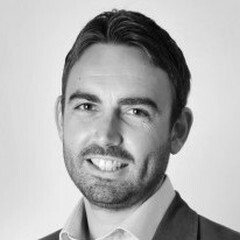 Steve joined AMB (Prologis) in 2006 in the Europe & Asia group, in charge of FP&A for Europe and Asia. He created a global forecasting process by working with various teams around the globe, projecting capital deployment sources and uses, and producing strategic plans for AMB's investments in Europe & Asia. 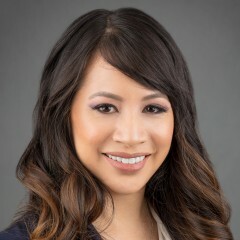 As Webinars and Program Manager at Realcomm, Sarah Bemporad is responsible for conducting real estate tech webinars and managing the educational content for online seminars and conferences. Previously, Sarah managed investor and corporate relations at Paramount Group, a fully-integrated REIT headquartered in New York. Suzanne is the CEO & founder of BadVR, the world's first immersive data analytics platform. 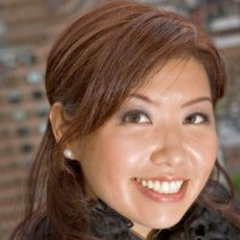 She led product design and UX at 2D analytics companies including Remine, CREXi, and Osurv. 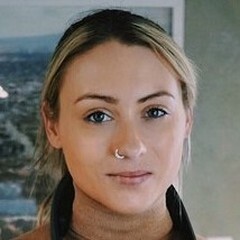 Suzanne is a recipient of Magic Leap�s Independent Creator�s Program grant and previous winner of Zillow�s Zip Code public data hackathon. She is passionate about the intersection of design, immersive technology and data. A recognized thought-leader and practitioner, Ian shapes the role of information in the industry's most innovative companies. A Founder and past Chairman, Ian is now leading OSCRE into new territory and supports implementations of OSCRE standards. 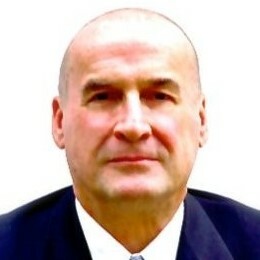 He has over 30 years' experience with global corporations and investment organizations, their service providers and software firms. 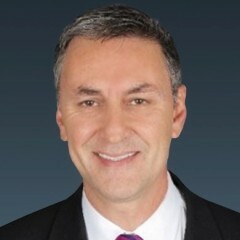 Ian has held executive positions in leading consulting and software firms and is a regular speaker, author and faculty in executive development. 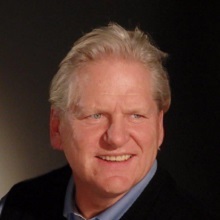 Oliver Carr serves as Carr Properties� Chief Executive Officer and is a member of our Board of Directors. Prior to founding Carr Properties, Oliver served as Chairman and CEO of Columbia Equity Trust (NYSE:CEO), where he and his team successfully took the company public in 2005. During his career, Oliver has completed over $4.0 billion of property acquisitions, mergers, joint ventures, and financings. MJ Cootsona is the Co-Director of Plug and Play's Real Estate & Construction Tech program. He oversees corporate partnerships and is responsible for introducing Plug and Play's Real Estate corporate partners to relevant technology solutions. He guides the direction of the program, building out the corporate network and managing corporate relationships. 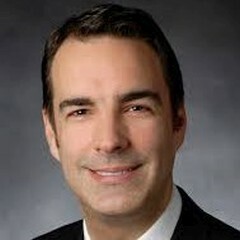 Kevin Danehy is currently the Global Head of Corporate Development at Brookfield. The group works to accelerate growth across its portfolio of assets under management in markets globally through various means including direct transactions, M&A, JVs and strategic alliances. 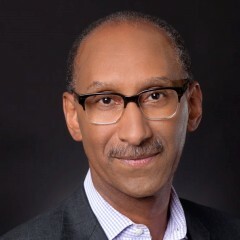 Previously, when he joined Brookfield in 2013 he was the Executive Chairman of Brookfield Global Relocation Services and had overall responsibility for growth of the company and served as the primary lead with the company�s board and leveraging the firm�s extensive relationships. 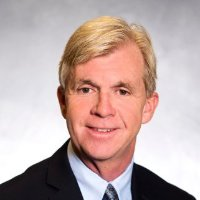 John Dulin is a 30-year global telecom and enterprise executive and has held senior positions in product management, marketing and sales in the areas of fiber optics, wireless and new technology development. Currently with Corning, John is focused on introducing its fiber optic and wireless innovations to the commercial real estate market. 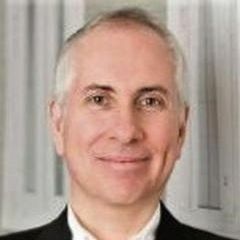 john Fitzpatrick is a Managing Director in the Blackstone Innovations and Infrastructure group. He oversees various projects and initiatives across the entire Innovations and Infrastructure group. Eddie Fleurent works at a multifamily real estate company that owns the core aspects of its business, including construction, design, and property management. 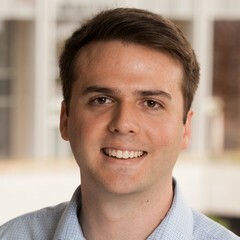 At Cortland, he develops automation solutions to complex business challenges by utilizing technologies such as Robot Process Automation, Power BI, Python Scripts, Excel VBA Macros, and SQL queries. Eddie previously worked as a property accountant at Cortland. 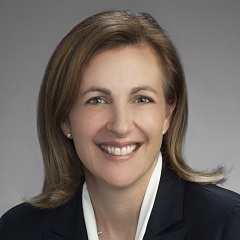 Giselle Gagnon is currently SVP, Strategic Resources Group and directs sustainability, risk management, EH&S, operational excellence, and customer engagement strategies for Bentall Kennedy with a mission to drive organizational effectiveness through process transformation and technology solutioning. In 2017, she initiated the company�s Innovation Lab, aimed at accelerating ideation and advancing inventive technologies across their North American real estate portfolio. 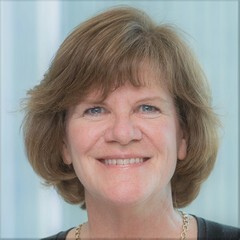 Susan Gerock currently serves as VP, Information Technology and CIO for Washington REIT, a publicly traded REIT based in Washington, DC. 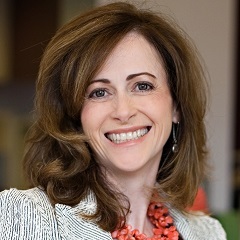 She has over 20 years' experience in various technology roles spanning manufacturing, consulting, application service provider, and commercial real estate organizations. 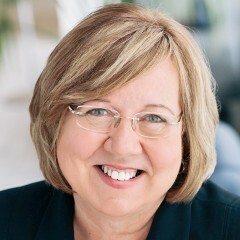 Her specialties include ERP selection and implementation, project and change management, and cybersecurity. 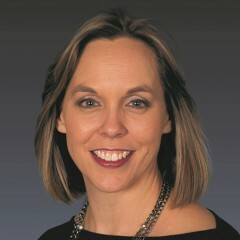 She is also a proponent of the use of social media and the overlapping relationship between technology and marketing. 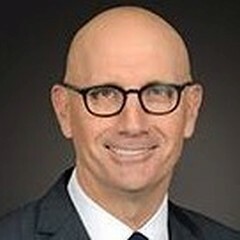 John Gilbert is the EVP, COO and CTO of Rudin Management Company, which owns and operates 15 million feet of commercial and residential space within the City of New York. 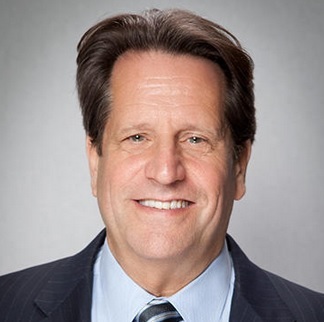 John is Chairman of the New York Building Congress Energy Committee and has served on several of Mayor Bloomberg's Advisory Committees, including the Mayor's Energy Policy and Sustainability Task Force, and the Advisory Committee for Broadband Deployment. John also is a member of the New York City Green Codes Task Force: Industry Advisory Committee, Green Light New York, New York City Investment Fund's Cleantech Sector Group and the Mayor's Clean Heat Advisory Task Force. 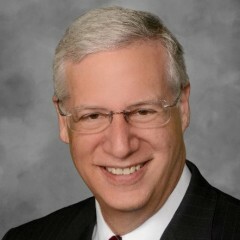 He is a Board Member of both the Grand Central Partnership and Saratoga Performing Arts Center (SPAC) and a Trustee of the New York Hall of Science. 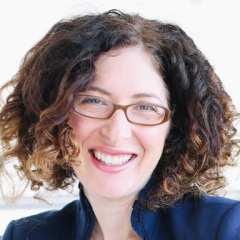 Ilene Goldfine is VP, Business Technology Group and is responsible for the day-to-day operations of the Hines Business Technology Group (�BTG�). The BTG was established to create a common framework on which to build a robust investment and property management platform. The group works with the Information Technology Group and is a conduit for the consideration of all new systems, analytical tools and business processes that support our investment and property management activities. 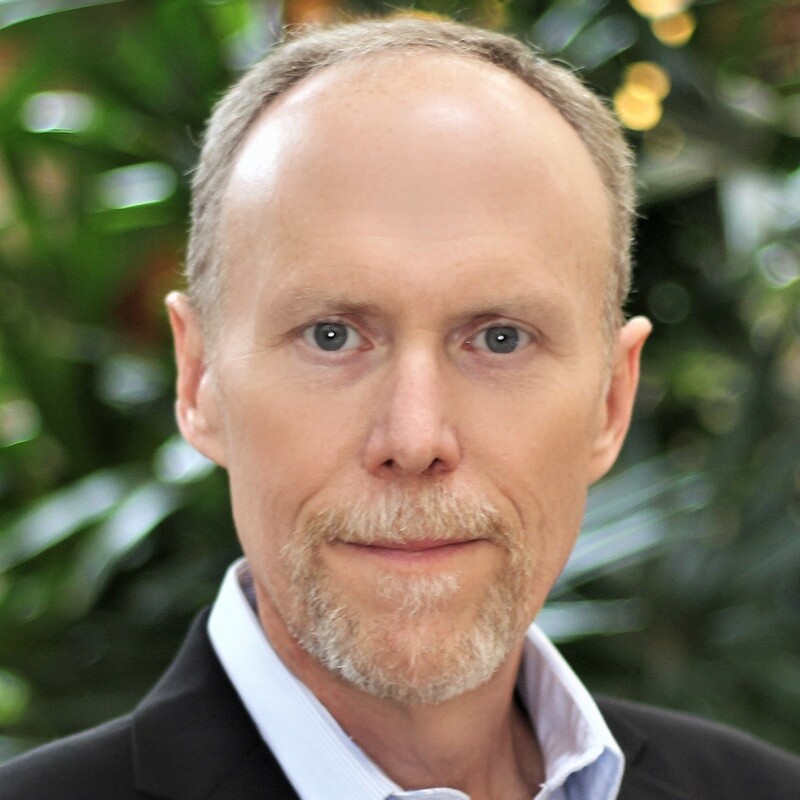 Fred Gordy is an industry expert within building intelligence data analysis for building control and power monitoring systems with emphasis on cybersecurity. 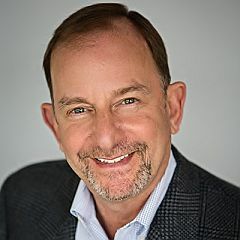 With over 18 years in the BAS space, over 6 years of BAS cybersecurity and 20 years in the IT space, Gordy is nationally recognized as a cybersecurity thought leader and speaker. 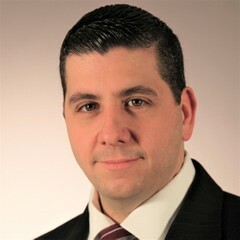 He is currently working with a national top 5 healthcare provider, acting as Facility Operation SME for the customer�s national facility group cybersecurity programs and is also actively involved cyber assessments for REITs, retail, US and Canadian government facilities. Additionally, Gordy has developed Intelligent Building�s Smart Building technology assessment processes and tools. 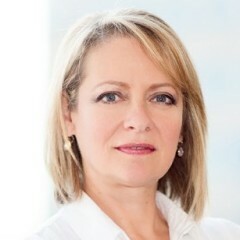 Cheryl Gray joined QuadReal in January 2017 as Executive Vice President leading the Enterprise Innovation Team, providing expertise to the Canadian real estate portfolio in sustainability, environmental health and safety, national contracts and property management best practices. She recently launched QuadReal�s Digital Innovation initiative that will encourage, support and implement innovative technology in their real estate assets to create and sustain long term value. 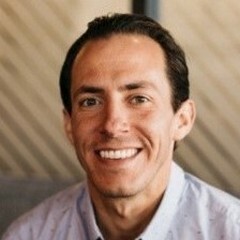 Micah Green CEO & Founder Micah Green is the Founder, President and CEO of Maidbot � a robotics company building Rosie � the world�s very first housekeeping robot for hotels. 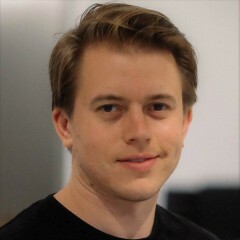 Micah Green is the Founder, President and CEO of Maidbot � a robotics company building Rosie � the world�s very first housekeeping robot for hotels. Green manages the company and product vision, sales strategy, cash flows, investor relations, and team development. Over the past decade, he has been a serial entrepreneur starting multiple businesses including two successful smartphone applications. 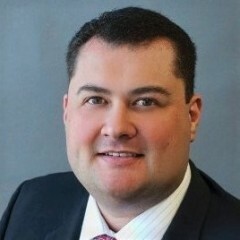 Ben Grippi is an Associate Director in MetLife Investment Management�s Equity Strategies Group serving the Head of Asset Management in variety of functions. 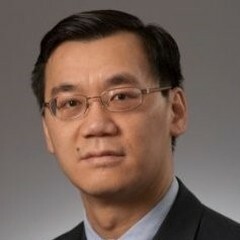 He recently became the Chairperson of MetLife�s newly formed Technology Advisory Committee (RETAC). The committee and its working groups are responsible for reviewing emerging real estate technologies and engaging with the senior leadership team to develop platform-wide strategies. 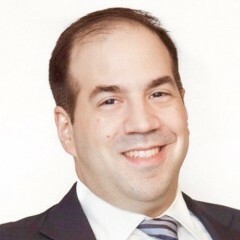 Grippi has experience across all major asset types having worked with derivatives, fixed income, equity and real estate in his 15-year career in Investments. 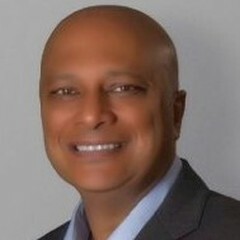 Arv Gupta is an accomplished operations executive with over 25 years of experience in leading business renewal, and building sustainable customer value propositions with a number of major retail organizations. Arv is currently responsible for driving national operational efficiency and effectiveness, while maintaining a standard of excellence in customer experience across all Cadillac Fairview properties. 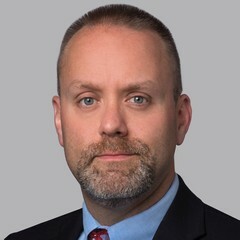 Erik Hart is the Chief Information Security Officer of Cushman & Wakefield. Previously, he worked at Zebra Technologies, where he was also Chief Information Security Officer. Prior to Zebra, he led information security for Leo Burnett, PEAK6 Investments and Cole Taylor Bank (now part of Fifth Third Bank). 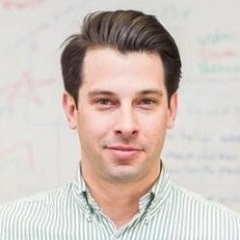 Adam Hastings is Managing Director at Hines and currently focuses on designing and building a centralized enterprise data warehouse for the firm which captures data across all points of the asset life cycle, combining the information from all our lines of business. Previously, his focus was on the collection and analysis of performance information for the company's global fiduciary portfolio. 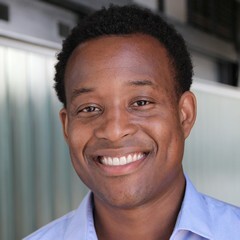 Shawn Hill is a Director at Moderne Ventures, a venture fund that invests in early-stage companies that have applicability in and around the real estate, finance, insurance and home services industries. He focuses on identifying industry challenges, defining industry solutions, and driving efforts to bring like companies together to meet market demands. 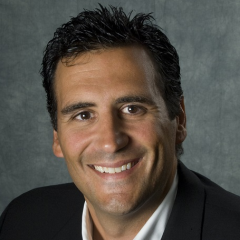 Prior to joining Moderne, Shawn was the Sr. Director of Business Development at DocuSign for its Real Estate vertical. 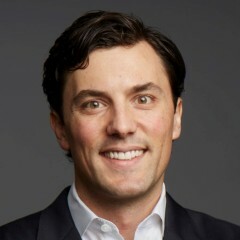 Chris Kelly is the co-founder and president of Convene. The firm's integrated workplace hospitality platform gives building tenants and enterprise clients access to a growing network of premium meeting and event spaces, private workspaces, amenities and curated experiences, all connected by Convene�s technology platform. 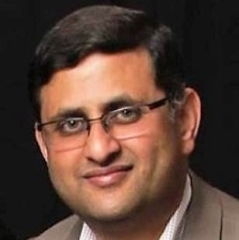 Sineesh Keshav is the Chief Technology Officer at Prologis. In this role, he oversees all aspects of the technology strategy and is responsible for leading the company�s global data and digital transformation. Since joining Prologis in 2018, Sineesh and his team have been focused on a capability driven, customer-centric approach to innovation and digitalization. 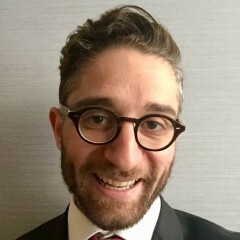 Arik Kogan Senior Director Arik Kogan, a technology specialist, has dedicated his career to liberating real estate companies constrained by antiquated systems and perspectives. Arik Kogan, a technology specialist, has dedicated his career to liberating real estate companies constrained by antiquated systems and perspectives. 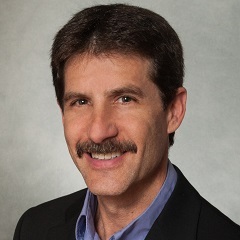 After more than a decade working in product delivery and consulting services for real estate software vendors globally, Arik now serves as Sr. Director of Product Management � Investment Solutions at MRI Software. Responsible for a product suite accessed by over 20,000 users to manage $1 trillion equity and debt, Arik is empowering real estate businesses and driving success through technology. Charlie Kuntz serves as the firm's Innovation Officer and is responsible for tracking and examining the viability of the most innovative building design, building technology, and real estate technology overall in the industry and implementing the newest ideas and thinking on every Hines engagement. Since joining Hines in 2007, Charlie has contributed to the development, acquisition, asset management, financing, marketing and disposition of more than 8 million square feet of commercial real estate. Alina Lloyd Focus Transformation Corp.
Alina Lloyd plans, directs and manages the deployment of innovative solutions within Real Estate organizations. She is a 20-plus year veteran of the industry. Most recently Alina was VP of Programs and Research, Digital Innovation with QuadReal, where she developed and implemented initiatives involving AI, machine learning, micro services and IoT. Currently, she is an advisor, consultant and managing director at Focus Transformation, helping organizations expand their innovation capabilities and ensuring innovation delivers tangible results. 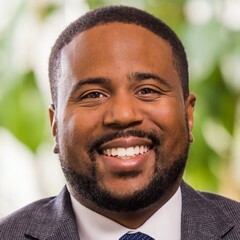 Anthony Magee is the Solutions Manager for Abel Solutions, a customer-centric consulting firm that delivers business excellence solutions leveraging people, processes, and technology. Anthony crafts the vision and strategy for the REALTY|share solution designed to cater to the needs of real estate companies seeking to improve their efficiency and streamline their business operations. Delivering numerous engagements for real estate companies, Anthony has successfully helped them increase profits, productivity and competitive leadership within the industry. Michael Mandel is the Co-Founder & CEO of CompStak, the world's first crowdsourced marketplace for commercial real estate information. A former NYC commercial real estate broker, Michael is passionate about making commercial real estate information available and transparent and is a building a team to change the way it works. Hazel Mann is currently Manager, Strategic Business & Technology Intelligence at KBS Realty Advisors, one of the largest owners of Class A office space. Hazel is an investment management professional spearheading finance and technology solutions with experience in coordinating cross-functional teams (finance, IT, operations) to drive company-wide strategic initiatives. 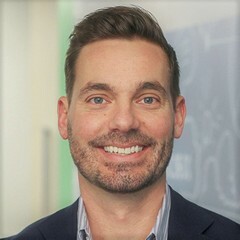 Shawn Mayo is currently Director of Financial Systems at Cortland, a real estate investment firm where he initiates and develops solutions to complex business challenges using cutting-edge technology and leads all innovation, technology, and analytics platforms across the company. 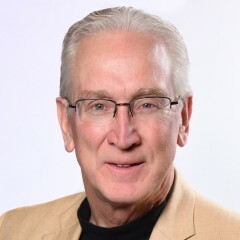 Art Mcann's primary goal is the development of Highwood's overall information technology strategy and aligning the company's technology investments with the overall business. 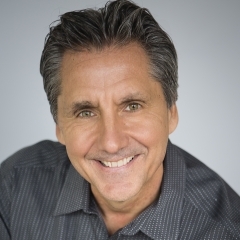 A 20-year business technology veteran, Art was a technology consulting manager at McGladrey & Pullen before joining Highwoods in 2000, and prior to that, he was a network manager for a non-profit organization in Washington, DC. Art earned a Bachelor of Science degree from Elon University and a Master of Business Administration from the University of North Carolina at Chapel Hill. Art is a board member on the Society for Information Management and President of the Oracle Real Estate User Group. 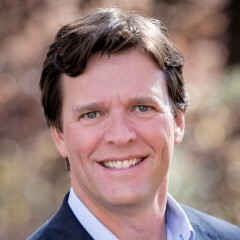 Phillip McCorkle is an Enterprise Managing Consultant with RealFoundations and has over 23 years of experience delivering value through a combination of organizational, process, and technology improvements. 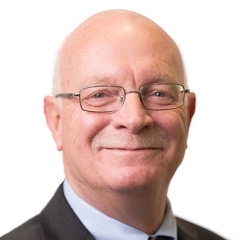 Phillip has spent his entire career serving the real estate and construction industries and has an extensive project portfolio of system implementation, process improvement, business transformation and strategic advisory services. 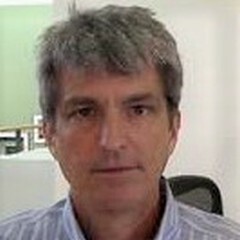 Michael Molloy is the creator and original developer of Dashflow for CRE. The idea emerged from his 15 years experience in over $3 billion of high-end CRE deals covering US, Latin America, Europe and the Asia-Pacific region. With 25 years of interest in programming, he is ideally placed to bring radical technologies and AI methods to bear on an age-old activity now ultra-complex: buying and selling valuable commercial real estate. 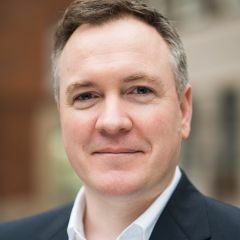 Nick Moore is a founding partner of Lionpoint Group, a global consultancy focused on delivering complex business and operations transformation initiatives to solve process and data inefficiencies within the alternative investments market. 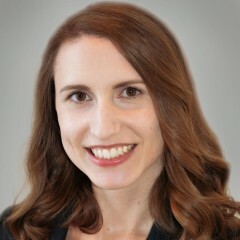 Emily Olman is CEO and Co-Founder of SpatialFirst, an AR Cloud platform for commercial real estate headquartered in the San Francisco Bay Area. Previously, Olan founded Hopscotch Interactive, a real estate marketing company bringing new tech applications to the industry. She also serves as Co-President of the Bay Area AR/VR Association in California where she advocates and evangelizes for VR/AR market acceleration on a global scale. 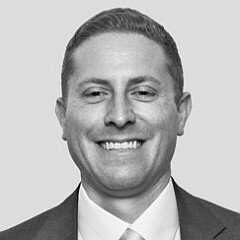 Aaron Pais is CIO at Morguard, a fully integrated real estate company with an owned and managed portfolio of assets valued at over $21.0 billion. 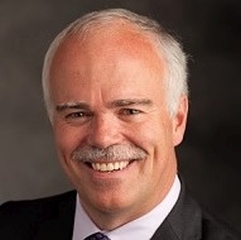 His diverse leadership experience includes leveraging technology to drive organizational growth, performance and profitability at some of North America's largest fully integrated residential and commercial real estate investment, development, construction and asset/portfolio management companies. Sunder Pappu has more than 20 years of experience in the technology industry. 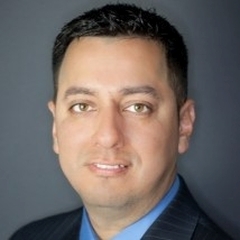 He is currently the VP of Application Development & Program Management at Inland Computer Services. 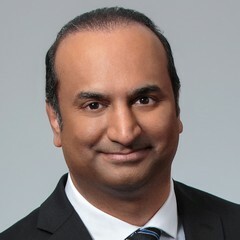 Prior to Inland, Sunder worked at JP Morgan Chase, Avanade and Deloitte Consulting, holding leadership positions in the areas of strategy consulting, project management and application delivery. 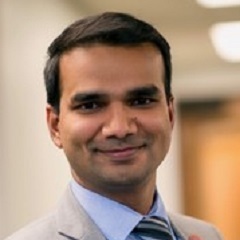 Sunder obtained his Master's Degree from The University of Texas and has certifications in Business Process Management & Project Management. 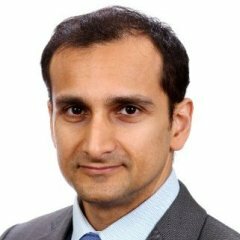 Soheil Pourhashemi is currently VP, Business Technology responsible for establishing and executing the commercial real estate IT strategy, vision and roadmap for Brookfield Properties North America. Brookfield is a premier real estate operating company, providing integrated services across all property investment strategies of Brookfield Asset Management, a global alternative asset manager with over $285 billion in AUM and manages over 130 million SF of commercial property globally with approximately 80M SQ FT of commercial real estate in North America. 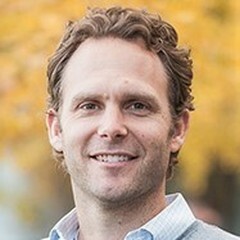 Travis Putnam is a Co-Founder and Managing Partner at Navitas Capital. His current investments include Gridium, Matterport, PlanGrid, Enmetric, Building Robotics, and SNTech. 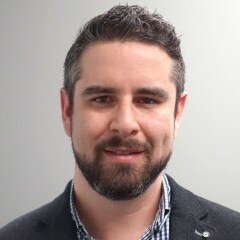 As the Director of Information Technology at Woolbright Development, Luis Ramos is responsible for the corporate technology strategy, which includes the IT infrastructure and enterprise application platforms. Additionally, he is also responsible for implementing technology solutions toward the company�s existing business processes, and helping create new efficiencies throughout the company's business model. Since his arrival in 2004, his team has been responsible for the constant development of various industry-focused proprietary software applications and tools. These award-winning technologies have fundamentally changed the way commercial real estate has been done at Woolbright. 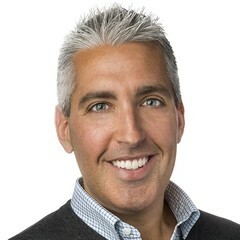 Joe Rich is SVP, CIO of Related Companies, a privately owned real estate firm with a portfolio of over $50 billion in real estate assets owned or under development that is made up of best-in-class mixed-use, residential, retail, office and affordable properties in premier high-barrier-to-entry markets. 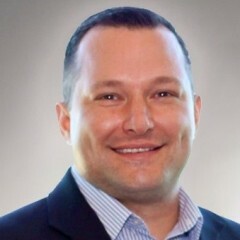 Joe has over 13 years experience as a CIO focused on global cultural change within the organization. 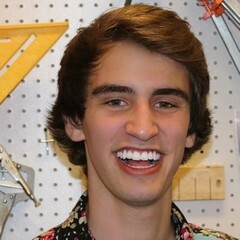 All eyes are on View The Space's (VTS) company Founder and CEO, Nick Romito. With the speed at which his venture has reached market share in 14 major US cities, one can safely conclude that the online-leasing evolution has begun. Using the latest CRE technology and a video platform, brokers and potential tenants alike can now tour thousands of vacant spaces from their desktop, tablet or smartphone and share them with their colleagues, clients, etc. The outcomes of these �shares/view� are also trackable, supplying streamlined, accountable results to all involved in the leasing process. 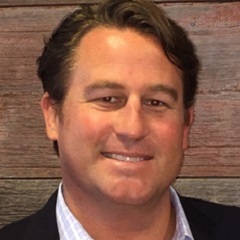 Previously, he was a Managing Director at Titan Global Advisors where he spearheaded the tenant-rep and agency side of the brokerage division, bolstering its business development platform. 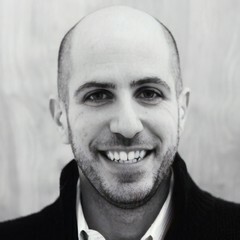 Richard Sarkis is CEO and co-founder of Reonomy, a commercial real estate data and analytics platform. Since the company�s founding in 2013, Sarkis has been instrumental in raising $68 million in venture capital and led Reonomy through a successful web-platform launch in New York City, as well as the launch of a second nationwide platform in 2017. An avid entrepreneur, Sarkis has launched numerous companies, including an international arbitrage textbook company, a college marketing network and an offshore tech company. 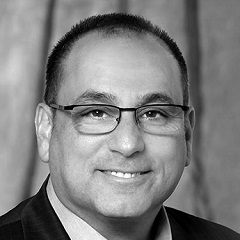 Larry Schachter is a leader of technology operations and initiatives with distinguished performance during 20+ years of diversified experience in commercial and residential real estate investment, management and ownership. 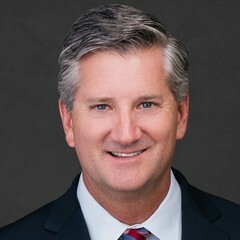 He is currently CIO of Benderson Development, one of America�s largest privately held real estate companies that owns and manages over 700 properties encompassing over 40 million square feet in 38 states. 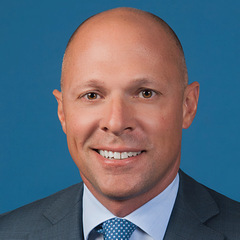 Sam Schaefer is currently Managing Director at Tishman Sepeyer where he oversees global leadership of its leasing, property management and corporate outreach groups. In this role, he coordinates the company's property management and leasing across all markets, leads business development efforts, and manages the firm's relationships with corporate clients and real estate executives. Schaefer is constantly working to deliver consistency and drive brand awareness and innovation at both a national and global level for the firm and its tenants. 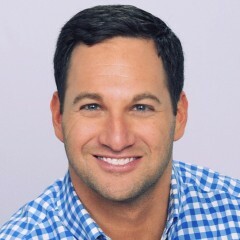 Justin Segal is an operations executive and entrepreneur specializing in real estate investment and management, startups, and technology. He is the founder of Stemmons Enterprise, a universal operations platform that allows companies to operate with pervasive data and unparalleled agility. He often speaks on topics involving enterprise data, analytics, and user experience. 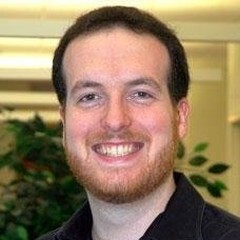 Kevin Shtofman is a Manager in the Real Estate practice of Deloitte Consulting. He has over 14 years combined experience in providing strategic, financial, accounting, business improvement, and technology services to clients in the Real Estate industry. Kevin�s focus includes providing operational and systems integration services to owners, operators, developers, and construction servicers of real estate. 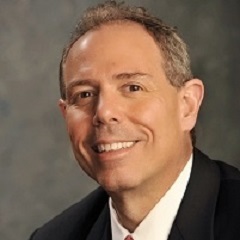 He is a recognized leader in providing strategic planning, business process improvement, systems integration, solution implementation, merger integration, asset management, and program/project management services. 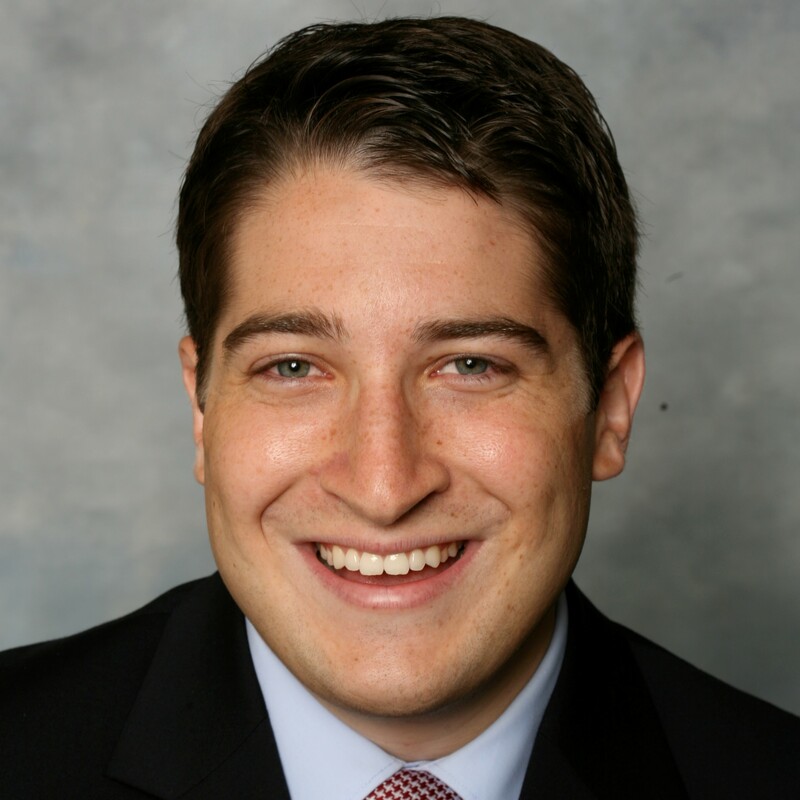 Judah Siegal started with Brookfield in 2012, working for its Property Group�s Investments team on M&A and strategic initiatives. In 2018, he transitioned to Brookfield Ventures which seeks to invest in technology-enabled businesses synergistic with Brookfield�s real asset footprint across Property, Infrastructure, Renewables and Private Equity. 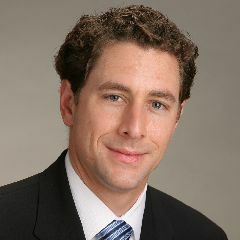 Previously, Siegal worked at Citigroup advising real estate companies on M&A and capital activity. 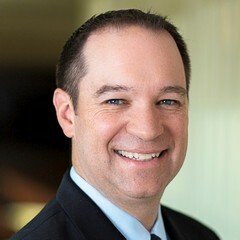 Shaun Smith Phillips Edison & Co.
Shaun Smith joined Phillips Edison in 2014 as its CIO where he oversees the company's information technology environment to support the company's business strategy. 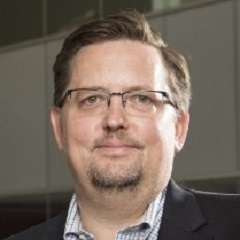 Previously, he served as CIO for The Related Companies where he led a large team of technology staff in developing and implementing technology initiatives to support the company's overall goals and profitability. 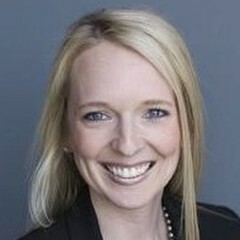 Lauren Stokes is a Director with RealFoundations and leads the Technology Services practice which provides application, end user and infrastructure support services to real estate companies. She has over 15 years� experience providing management consulting and technology advisory services to the real estate industry. 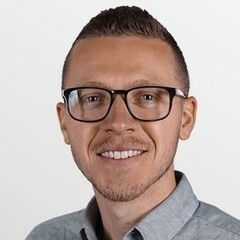 Dustin is responsible for the corporate direction, strategy and operational management of Automation Services, including overseeing its business development and client experience. 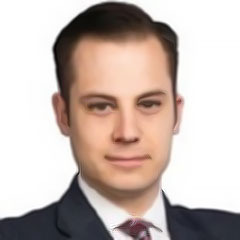 Prior to joining Open Box, Dustin was involved as a deal transactor at a niche corporate finance and private equity firm, after which he developed a taste for technology whilst structuring, shaping and pricing large, complex corporate transactions at Accenture. He has filled various roles since joining Open Box, including heading up key accounts as well as Custom Software, before moving into his current role. 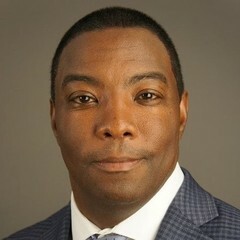 Earnest Sweat serves as a Director at Prologis Ventures. 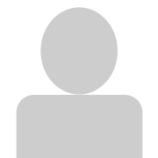 Earnest has a decade of experience in the real estate and technology industries. He currently focuses on the sourcing, technical due diligence, and structuring of venture capital investments and partnerships. Prior to joining Prologis, Earnest gained portfolio management and business development expertise in stints as a seed stage investor and startup advisor. 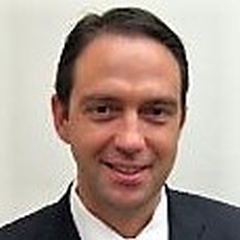 Rob Teel is responsible for product development, support and implementations of Yardi's Commercial Property Management and Investment Management suites. Rob joined Yardi Systems in 2003, and he has nearly 20 years of property and financial systems implementation experience. 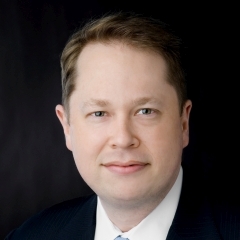 Edward Wagoner is Global CIO, Corporate Solutions at JLL. 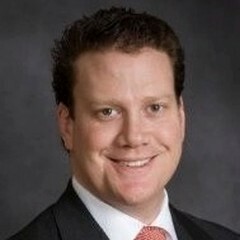 He is globally responsible for all aspects of JLL�s technology for corporate occupiers, including the business strategy, marketing, development, deployment and support. 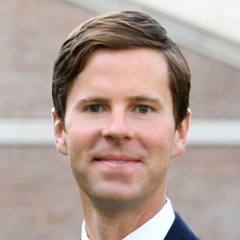 Andrew Weakland is the Director of Systems Development for W. P. Carey, a net-lease REIT focused on providing long-term sale-leaseback and build-to-suit solutions for companies in the U.S. and Northern and Western Europe. Andrew specializes in bringing emerging technologies into the real estate space to drive competitive advantage while maintaining the cohesiveness of the overall enterprise technology footprint. 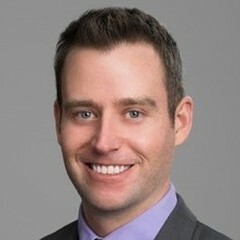 Grant Wood is the Head of Business Development and Industry Principal at Juniper Square, a San Francisco-based technology company transforming the way real estate GPs and LPs exchange information. He has over 20 years of enterprise software experience, including more than a decade of experience in commercial real estate and investment management software. 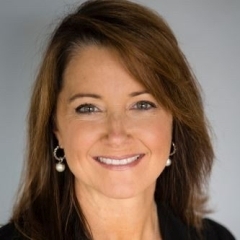 As Managing Partner, VP of Strategy & Business Development, Lisa Woods is responsible for developing Realcomm's strategic relationships with those technology companies that participate in the company's conferences, seminars and CIO events. Prior to joining Realcomm, Lisa spent 10 years working with building owners and managers, providing technology solutions in telecommunications, access control and security. 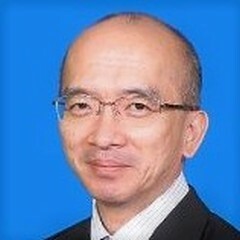 Damien Wu is CIO of Link Asset Management Limited, currently Asia�s largest REIT. He is responsible for the formulation and management of its information technology strategy and functions. Damien has over 20 years of IT management, IT consulting and IT Startup experiences.